Most people are familiar with the Miranda warning and their right to remain silent when they are being questioned by police. Everyone who’s watched any police or courtroom drama on television or in the movies knows how the statement begins: “You have the right to remain silent…” They might even know the entire statement by heart. However, when it comes to the details of the warning and how incriminating statements might not be admissible in court, they don’t know how the process works. With a charge of driving while intoxicated in New Jersey, there are important factors that a defendant must remember when heading to trial. 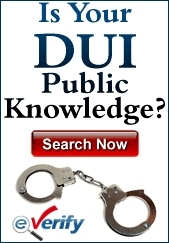 If a driver is stopped on suspicion of DWI and happens to make statements that will incriminate him or herself and put them in jeopardy of being arrested and charged with DWI when they might not have been had they remained silent, it’s imperative to know how to have these statements blocked from use in the trial. When a driver is stopped on suspicion of DWI, there must be probable cause for the officer to make the stop. An officer is not allowed to simply stop a vehicle on a whim. There must be some kind of traffic infraction, a broken taillight, a dangerous action – something – to make the stop reasonable. Once the stop is made, the officer will engage with the driver to gauge whether or not alcohol is involved. The driver is required to surrender the driver’s license, registration and proof of insurance when asked to do so by an officer, but the driver can politely decline to answer if the officer begins to ask questions such as where the driver was coming from. Even if the driver answers these seemingly innocuous questions, they are not subject to being stricken from the record due to the failure of the officer reading the driver his or her rights. The officer will look for signs of intoxication even if the driver refuses to speak. These can include bloodshot eyes and the smell of alcohol. If the driver does speak, slurring words are also a signal of having been drinking and can be admissible. If the officer still believes that the driver has been drinking, field sobriety tests will be given followed by a breath test. The driver is not under arrest at this point and with the law of implied consent, there is a requirement that the driver submit to a breath test when asked to do so by the officer. If the driver refuses to comply, there will be a charge of Refusal levied. The Refusal charge has nothing to do with the driver’s rights against self-incrimination, although this is a popular misconception. It is not within the driver’s rights to refuse to take the test and the penalties for a Refusal conviction mirror those of a DWI conviction even if the driver had not been drinking at all. If the driver registers above a certain level on the breath test, there will be an arrest. For a driver 21 or older, the blood alcohol content to warrant an arrest is 0.08%. For a commercial driver, it is 0.04%. For a driver under the age of 21, it is 0.01%. It is at this time that the driver will be read the Miranda rights. If the officer doesn’t read the suspect his or her rights and begins asking questions related to the DWI, everything that the suspect says could be deemed inadmissible. Even if the questioning is done in a casual way as a means to try and make the suspect relax and perhaps say something that will be incriminating, it is still required that the driver know his or her rights and agree that they are understood. The officer will have these rights in numerous languages and the driver is required to say that they are understood. A language barrier and the officer failing to account for it could lead to statements being deemed inadmissible. The officer is not required to give the Miranda warning in order to make the arrest. All the officer needs is probable cause that the traffic offense of DWI has been committed and the arrest can be made. The major factor with incriminating statements and the Miranda rights is that without the warning being issued, the answers that the driver gives could be inadmissible in court. The officer can refer to the field sobriety tests and the way in which the driver was behaving as justification for the arrest regardless of the statements that might have been made. 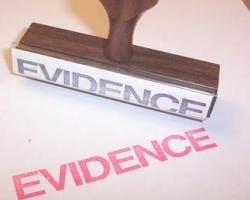 In some cases, the evidence is not as clear-cut as it is in others. If the conviction or acquittal hinges on what the driver might have said, then it is in the defense attorney’s best interests to try and have the statements deemed inadmissible because of a failure to properly advise the driver of his or her rights. Once a driver has been arrested and charged with DWI, it is imperative that the attorney try to strike any incriminating statements from the record so there is a better chance of acquittal.